I first made this recipe a few years when friends were joining us for a dinner at our home. I found it in Baking Illustrated. It was so good and easy to make ahead that I have used it at a few catered events since. This is a great recipe. Because March is what I like to call “birthday month,” it is an appropriate time to post this recipe (and to make this cake). I have an amazing number of Pisces friends as well as a few on the cusp on either end. In addition, my birthday is in March, and I love dark chocolate. * If you are following a gluten-free diet, you can use gluten-free flour, or omit it all together in the recipe and use a pan spray of your choice. Adjust oven rack to center position and heat oven to 400° F.
Generously butter eight 6-ounce ramekins or Pyrex custard/baking cups and dust them with flour or cocoa powder; tap out excess flour (or cocoa) and position ramekins in a shallow roasting pan or jelly roll pan, or on a baking sheet. Meanwhile, melt 8 tablespoons butter and 8 ounces of semisweet chocolate in a medium heatproof bowl set over a pan of almost-simmering water, stirring once or twice, until smooth. Remove from heat. 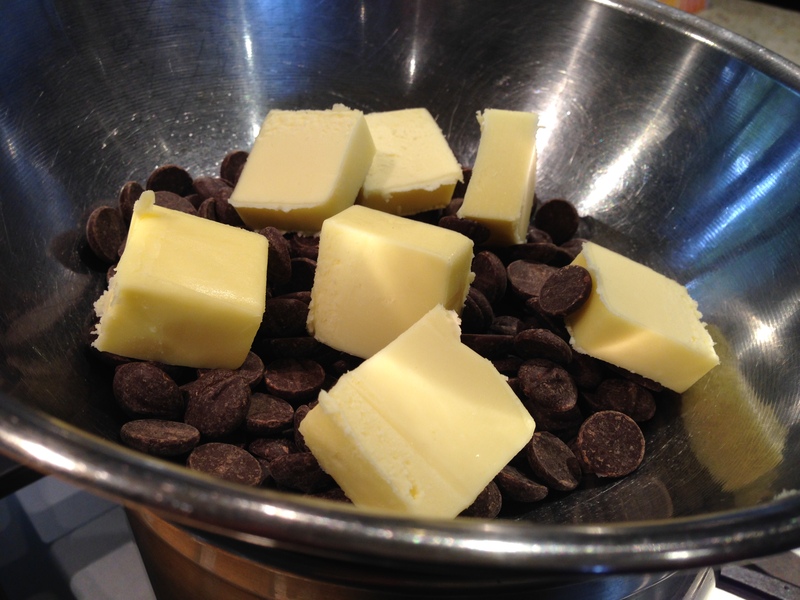 Note: An alternative is to melt the chocolate and butter in a microwave oven. See instructions below. Beat eggs, yolk, vanilla, salt, and sugar on high speed in the bowl of a standing mixer fitted with whisk attachment until the volume nearly triples, the color is very light, and the mixture drops from the beaters in a smooth, thick stream. This will take about 5 minutes. 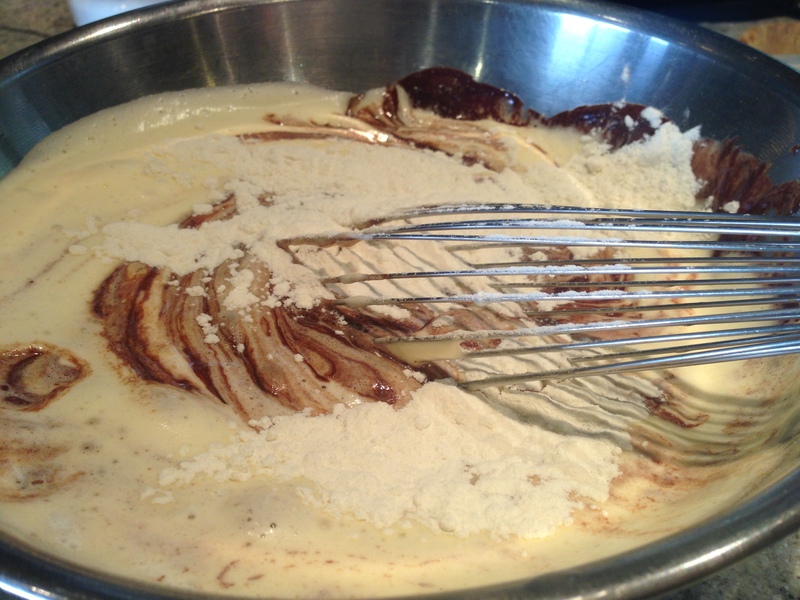 Scrape egg mixture over melted chocolate and butter; sprinkle flour over the egg mixture (you may omit the flour or use a gluten-free flour). 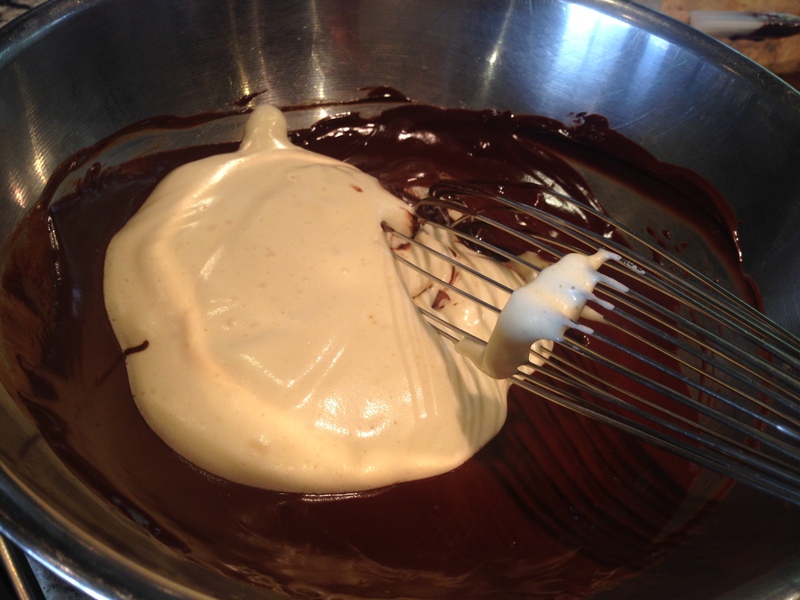 Gently fold egg and flour into chocolate until mixture is uniformly colored. 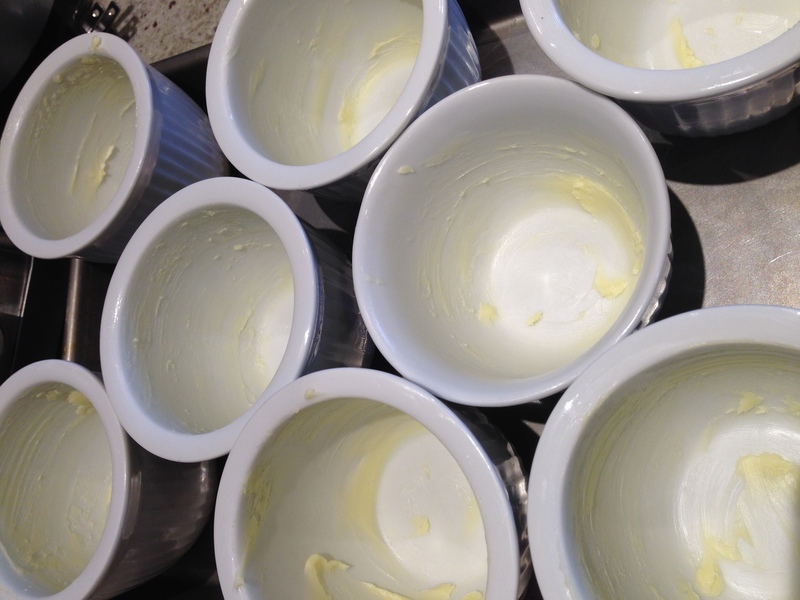 Ladle or pour batter into prepared ramekins. 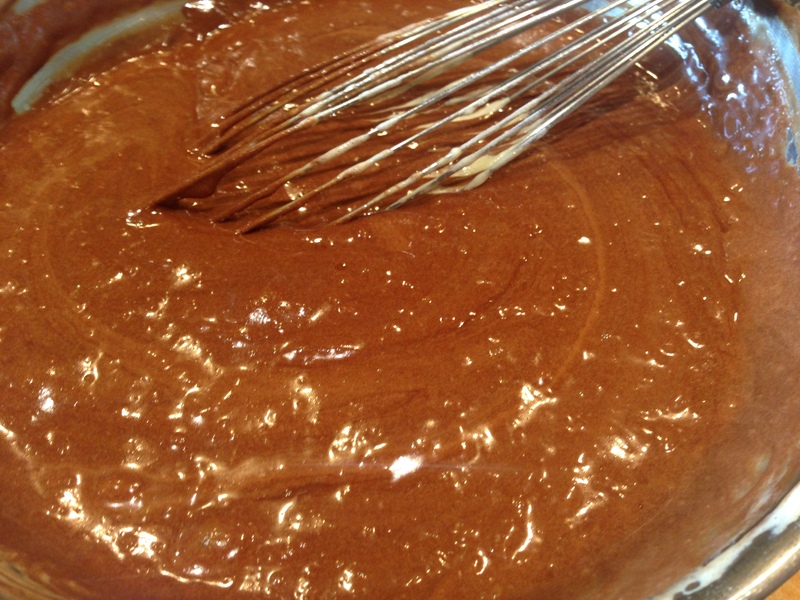 At this point, the batter can be covered lightly with plastic wrap and refrigerated for up to 8 hours before baking. If you choose to make the batter ahead, allow 30 minutes for it to return to room temperature before putting ramekins in the oven. Bake for 12 to 13 minutes or until cakes have puffed about a ½ inch above the rims of the ramekins, have a thin crust on top, and jiggle slightly at the center when shaken very gently. 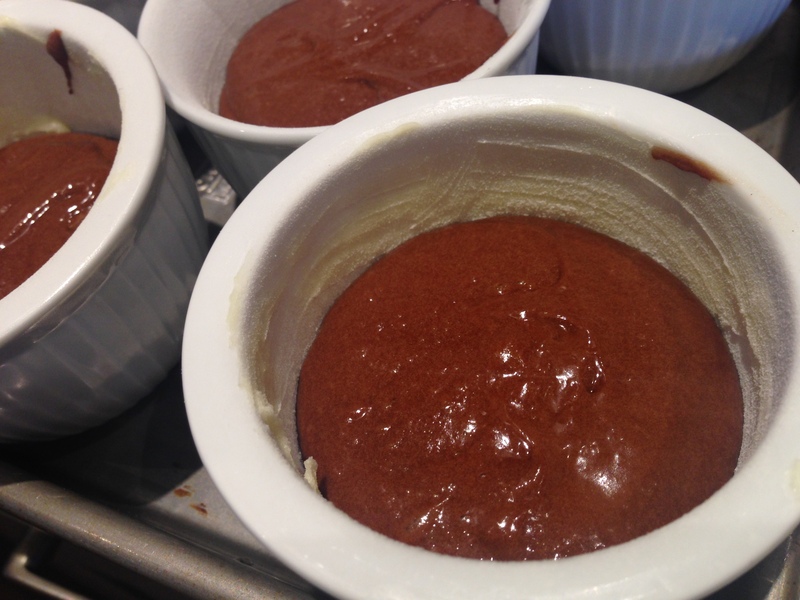 Run a paring knife around the inside edge of each ramekin to loosen cake and invert onto serving plates; cool for 1 minute and lift off ramekins. Sieve a light sprinkling of confectioners’ sugar or cocoa powder over cakes to decorate, if desired, and serve immediately with optional whipped cream. You can substitute 5 ounces of unsweetened baking chocolate for the semisweet if necessary, but you’ll also need to increase the sugar by 6 tablespoons, for a total of 7/8 cup. To melt the chocolate and butter in a microwave oven, heat chocolate alone at 50 percent power for 2 minutes; stir chocolate, add butter, and continue heating at 50 percent for another 2 minutes, stopping to stir after 1 minute. 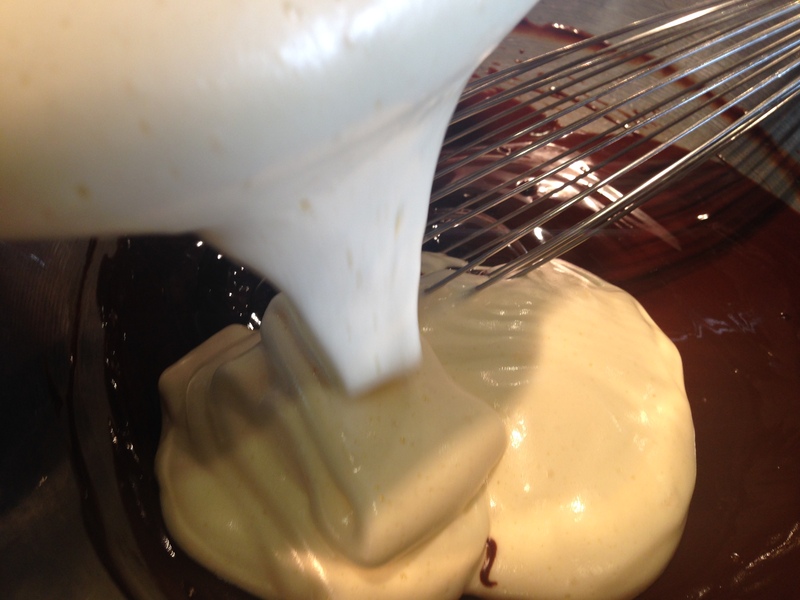 If chocolate is not yet entirely melted, heat an additional 30 seconds at 50 percent power. This entry was posted in Desserts, Recipes and tagged Chocolate, Gluten-free-optional. Bookmark the permalink. Mmm that looks so good and chocolatey!